We fight injustice. 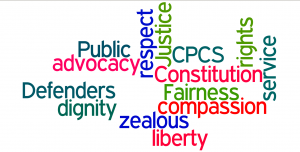 The mission of the Public Defender Division of the Committee for Public Counsel Services is to ensure that criminal defendants are given the fundamental protections of the United States Constitution, the Bill of Rights, and the Massachusetts Constitution. We believe that every defendant should not only receive zealous advocacy but respect and dignity as they deal with the potential loss of their liberty. We stand with our Clients and the Community in the fight for Justice. The Public Defender Division is committed to meeting the needs of clients in Massachusetts in all their diversity. 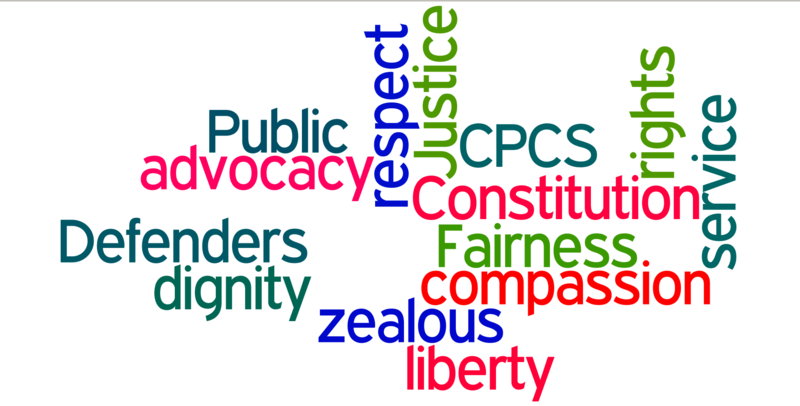 We are dedicated to providing zealous advocacy, community oriented defense and protection of fundamental constitutional and human rights. Our staff encompasses a broad range of human differences and abilities including but not limited to: age, ethnicity, gender, geographic origin, race, faith, religion, and progressive values; and are committed to utilizing them to best serve our clients.